Our fabric furniture often ends up looking worse for wear. What starts out as beautiful beige often becomes a boring brown and with the cost of furnishings, it’s disappointing to see them become lacklustre over time. However it is not merely appearance that should concern us about our upholstery, but how hygienic it really is. We sit on our sofas most evenings, possibly eating our tea in front of the TV. Just think how many little spillages have happened to your sofa in its lifetime so far? 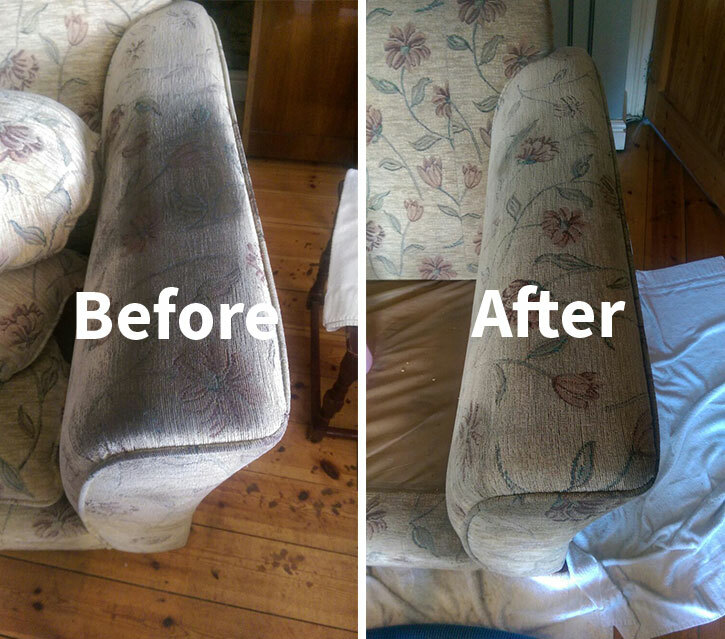 Our fully insured upholstery cleaning service utilises only the highest quality commercially available upholstery cleaning systems and chemicals. We only use environmentally friendly biodegradable products by Prochem – leaders in the development of safe and effective commercial upholstery cleaning chemicals.